Are you now, or have ever been, a Toys R Us kid? This beloved mascot represented the defunct-turned-restructured toy giant for decades, and is now the focus of that restructuring as the company rebrands to Geoffrey’s Toy Box. 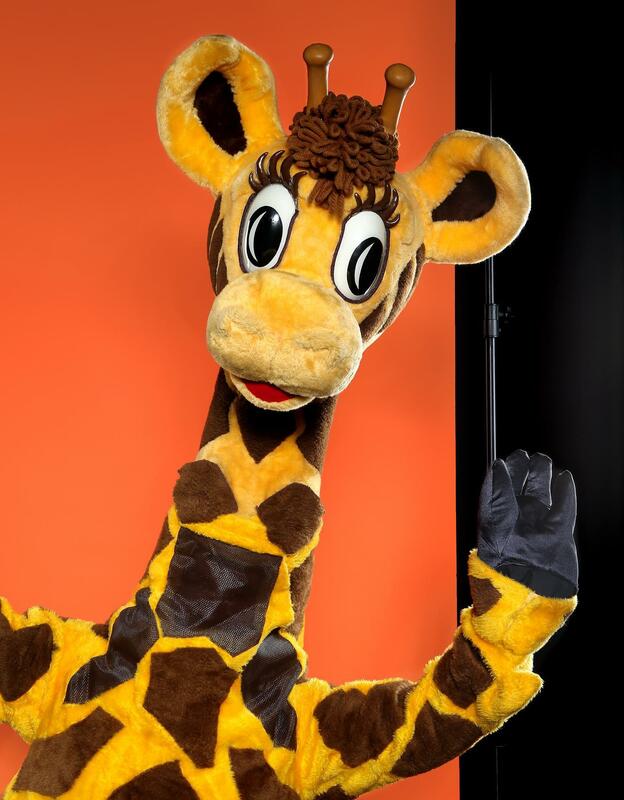 This Geoffrey walkabout costume was made for use by in-store giraffes as they walked around greeting shoppers and terrifying infants in stores across the world. Built for repeated use, the two-part costume features a hooped body suit and extended headdress that straps down securely to the wearer. 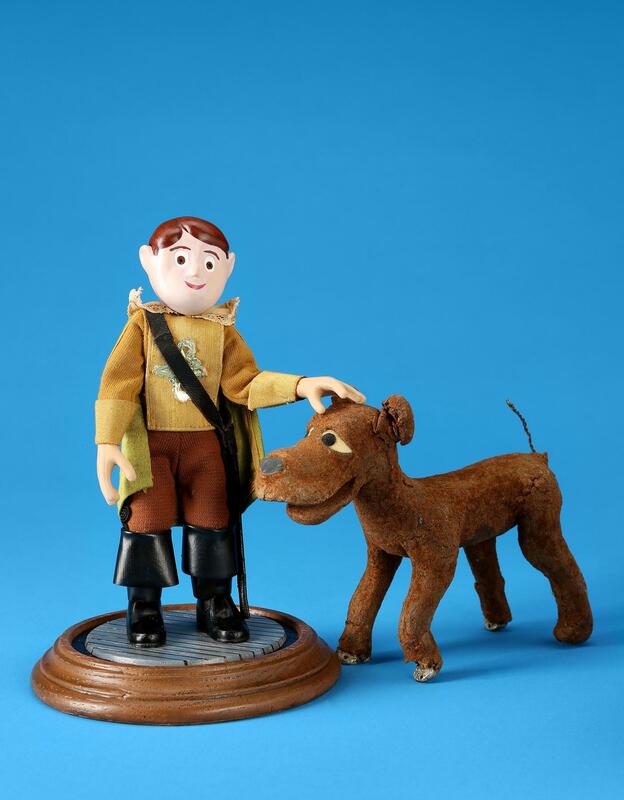 The Lutheran Church’s stop-motion series Davey and Goliath dished out morality lessons to children for five seasons of American television as Davey and his talking dog Goliath learned about everything from racism to respecting authority. One episode even saw young Mr. Hanson dress up in his Musketeer-style costume. 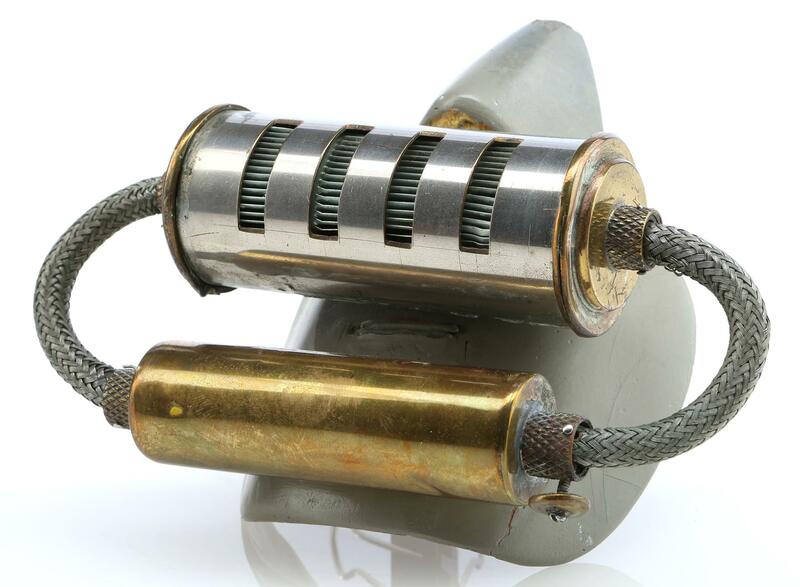 The costume and puppet armature are all original to the series and have been completed with a replica head and hands and elegant display base. Not every mascot is a Geoffrey. 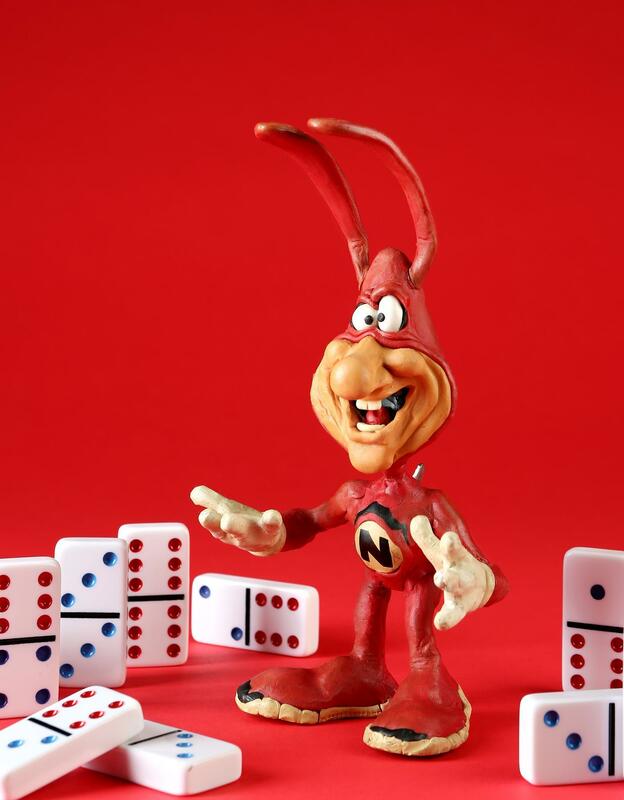 Domino’s Pizza premiered their barely avoidable Noid mascot in the 1980s, demonstrating the lengths Domino’s drivers will go to to ditch the creature on each delivery. Afterall, the Noid hates hot, quality pizza. Designed by Claymation extraordinaire Will Vinton, this original puppet is made of molded clay over a metal pin armature frame. The pins remain partially exposed on the back, which allowed animators to manipulate the puppet as needed during production. Just don’t let him anywhere near your next order. 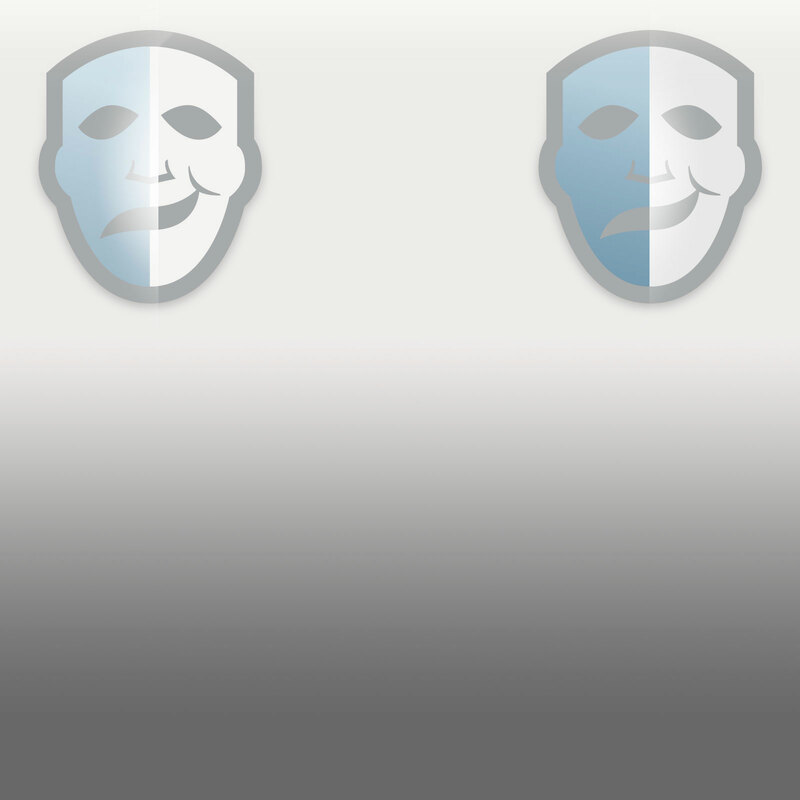 AHHH, YOU SAID THE SECRET WORD! That must mean it’s time to check in on our old friend, Floory. Floory was a mainstay in Pee-Wee’s playhouse for the entire run of the series, making his home in the corner of Pee-Wee’s bedroom. Television’s most beloved section of flooring, the character was puppeted by manipulating his mouth and brow planks as he spoke with Pee-Wee and the rest. 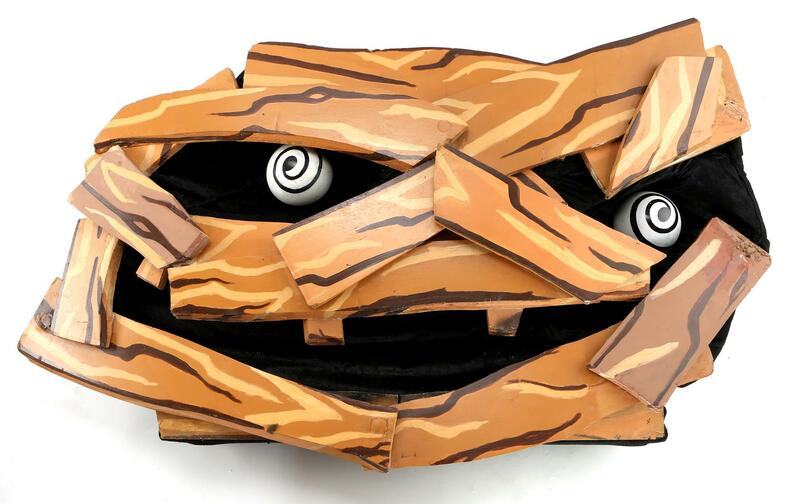 The piece is constructed of foam core plank panels painted with a cartoonish wood grain. If you were anywhere near a grapevine in the 80’s, you already heard of these guys. 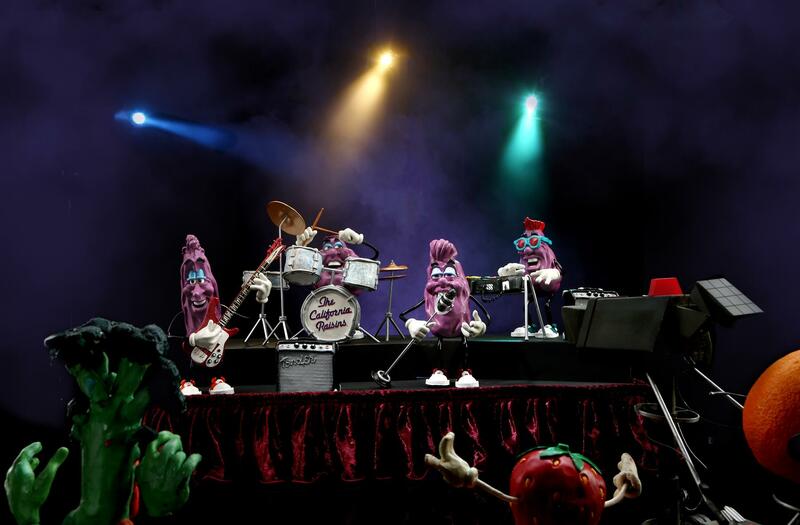 The California Raisins campaign featured a band of singing Raisins in commercials for years, encouraging people to eat healthy and play with their food. The band members in this auction were made by original designer Will Vinton as molded versions of the iconic characters after the original puppets had deteriorated after production. Each raisin is signed and numbered on the bottom by Vinton himself.